As mentioned before I’m still trying to get the trigger finger working. The problem is, that the midi/usb connection is not working. After restarting trigger finger and host program the connection is working for ca. 1 minute. After that it breaks down and trigger finger and host program needs a restart. Making music, with this setup? Funny.
. Reading FAQs (describing problems I don’t have) and searching user forums (with problems I don’t have or solutions which did not work for me) was no help at all and a complete waste of time. No support form, no e-mail address for a direct contact. You can phone them if you’re willing to pay 13 € for one (1!) support code. Not nice. I already hear the advice “update to the latest driver”. Really? Now, that’s a good idea! Thanks for paying us to state the obvious. I regret having bought the trigger finger. Without service you always have the risk that the tool is no tool at all but nothing like another obstacle. You should consider this, before buying your next m-audio product. I tried the ableton support as well and got a quick answer with some hints which were not helpful, because the problem is still there. I mailed back to them and now I’m waiting for another response. Tiring, but they are my last hope. After reading Ansgar’s posts (link1, link2) about NI Maschine I was jealous about a tool that’s working and I thought about buying it. But > 500 € is to expensive for me. Arrgh. Frustration. Using computers as a tool is awesome most of the time, but this is annoying. Es geht auch preiswerter – bei MASCHINE MIKRO ist die gleiche Software enthalten, nur der Controller ist etwas kleiner und weniger komfortabel zu bedienen. Ab und zu muss man da mal zur Maus greifen. Ansonsten sind sie identisch und beim Music Store kostet der Spaß “nur” 329 Euro!! 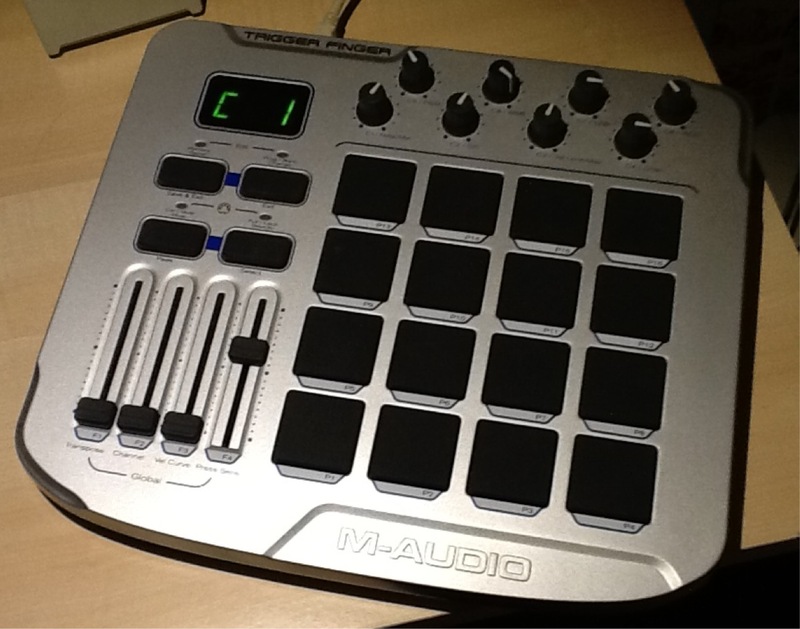 BTW the problem was solved in the meantime (without m-audio service involved). Check the other posts about the trigger finger.